Merlijn-Jan Terpstra is a 23-year old, Utrecht based artist and musician. Studying political philosophy and ethics at Utrecht University, he writes songs about human struggles, the need to belong, and culture critique. Under the alias Merlin John, he has been performing as a singer-songwriter since 2013, and has worked as a film score composer on a number of other projects. In 2016, reaching the finale of Beste Singer-Songwriter of Utrecht, he knew that something was missing and decided to combine his work as a composer and singer-songwriter to form John Babel. John Babel brings you an eclectic sound of acoustic ballads mixed with an avalanche of dark synthesizers and orchestral compositions. The appeal of this is that it can go anywhere. Each song is unbound by convention while still retaining a distinct hopeful, yet solemn sound. John Babel consists of Merlijn as the writer, singer and guitarist of the band, Elsa Groener as the keys player and sampler, and Nils Groener as the drummer. 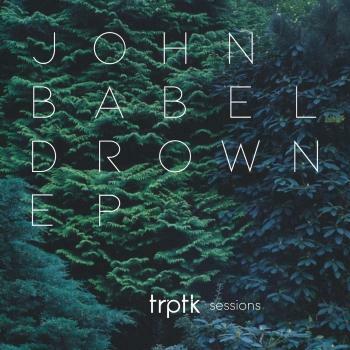 Now, after more than a year of writing and rehearsing, John Babel is ready to release their first EP with TRPTK containing three songs of their brand new setlist.